Scattered across New York City are statues of important women throughout history, including a valiant Joan of Arc riding a horse across Riverside Park, and a fountain dedicated to the first woman to serve on the state’s board of charities, Josephine Shaw Lowell. But in one European city, there were absolutely no monuments of women (and only 6 percent of all memorials, mostly in the form of plaques, dedicated to women). 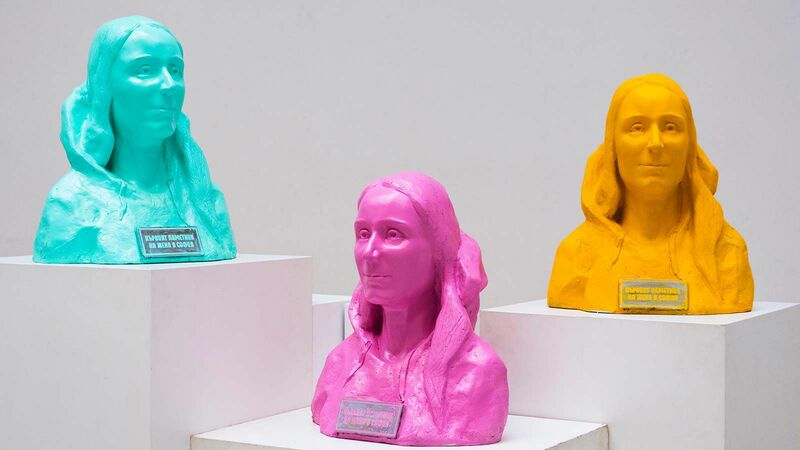 Until, that is, brightly colored busts of one woman began popping up around Bulgaria’s capital. According to Mashable, artist Irina Tomova-Erka’s bust appeared in seven spots across the Bulgarian city of Sofia on the morning of March 22. Her likeness is part of an installation known as “Monumental Women,” a campaign created by the Bulgarian Helsinki Committee, in partnership with Tribal Worldwide Sofia and Fine Acts, an international non-profit committed to inspiring social change. 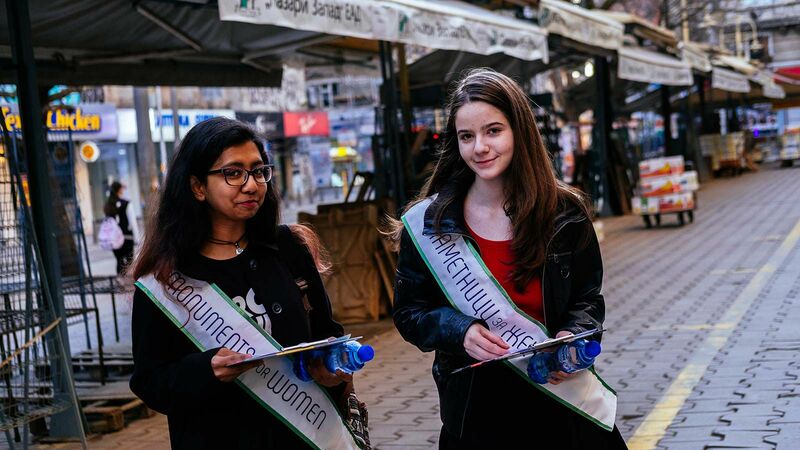 While the playful busts are only temporary, committee organizers have demanded that permanent monuments to important women be erected in Bulgaria by 2018.